Interested in Siemens Hearing Aids in Scotland? 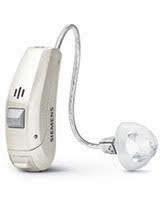 Siemens are a well-known German company and are one of the largest manufacturers of hearing aids worldwide. They have a UK head office in Crawley, West Sussex. Siemens have been providing hearing instruments for more than a century but it was in 1959 when they made a leap forward, producing the world’s first behind the ear hearing aid. Despite being the largest and possibly the most well-known, Siemens do not dominate the hearing aid market as you would imagine. Over the years they have had to compete against rivals from Switzerland and Denmark who have been flooding the industry with increasingly advanced technology. We are very happy to introduce the binax hearing aid range, the feedback from wearers is really excellent and the clinical results speak for themselves. Siemens have made a claim that the hearing aids will help hearing impaired people hear better than normal hearing people in noise. We have never before heard a claim like that made in the hearing industry, this really is a first. The binax technology introduces binaural processing to the Siemens range of hearing aids drawing inspiration from the healthy auditory system. There are extremely good reasons why we have two ears, binaural hearing increases loudness, enhances clarity, and gives sound added richness and quality. But the benefits of binaural hearing deteriorate with age and hearing loss. binax, the next generation of BestSound® Technology, simulates the effects of binaural hearing and brings these advantages back to the wearer. It is so powerful that for the first time, wearers with a well-fit pair of Carat™ binax, Carat A binax, or Pure® binax hearing instruments can understand speech in demanding environments even better than people with normal hearing. *You can see the binax range below and the accompanying equipments and apps. **Hearing aid owners are more likely to have more difficulty hearing in noise (66% “quite difficult” to “extremely difficult”, versus 34%, “somewhat difficult” to “slightly difficult”) – MarkeTrak VIII: 25-Year Trends in the Hearing Health Market, October 2009. The Siemens Binax 7 is the highest level of technology in the Binax range. It contains 48 processing channels for improving sound quality and a greater number of features than the Binax 5 which enable it to be more refined and fine tuned for your needs. The full range of models are available from the smallest "in the ear" to full size "behind the ear" models and all are suitable for mild to severe hearing loss. The Binax 7 has a whopping 48 channels. This is a lot more than any other hearing aid in existence. Most top end aids have either 17 or 18 channels. Audiologists are undecided at the moment as to whether all these extra channels provide additional benefit or not as the human cochlear only contains 20 natural channels, around 17 or 18 of which are used in a practical way. Either way, if you are looking for the hearing aid with the most channels, this is it. BinaxSound gives the hearing aids HD (High Definition) sound quality. Both hearing aids share the sound between the microphones which creates a virtual network of eight microphones to pick up the sounds around you. An example of how this works is that if speech sounds coming in from your left are being picked up by your left aid more clearly, it will transfer the sound to both ears so that you can hear them in stereo rather than from just that one side. BinaxGuide lets you manually change the direction of the microphones are focusing in to either front, back, left or right. This can be useful for car journeys if you need to face forwards but the passenger is to your side. To home in on their voice, you can use your remote control to tell the aids to listen in that direction. Siemens e2e Wireless technology (e2e stands for ear to ear) allows your left and right aids to collect sound and send it to each other. This enables all of the above features to function. This program cuts down the effect of wind noise on the hearing aids when you are outside. If you have two aids, they work together so that if the wind is affecting one side, the other side is made clearer to compensate. Basically if you're in the kitchen and someone drops a plate on the floor you are less likely to jump out of your skin as the hearing aid reacts immediately to loud and unexpected sounds and softens them. The audiologist can run some tests to find the frequency of your tinnitus and a personalised program of sounds can be set up to help to lessen the effects of your tinnitus. The screeching sound that you get from your hearing aid when your ear gets too near to the side of your chair or you hug someone? This feature gets rid of that before it happens. This enables Bluetooth streaming using the easyTek sound streamer and your remote control. Stream sounds directly from your phone or TV. Using the app you can download on your Android or Apple smartphone you can have full control over your hearing aid. You can control the volume as well as individually altering bass and treble. The program can be changed, your hearing can be focused in a particular direction and you can fine tune each program's settings easily and discretely. The Binax 5 technology level is available in a full range of hearing aid models including invisible in the canal (IIC). This is a complete range from the very small in-the-ear aids through to the full sized behind-the-ear models although they are named differently, you can read more about the models below. BinaxFocus automatically changes the focus of the directional microphones from wide to narrow, depending on your environment to give you better speech understanding. You can also control this feature manually to focus on a certain speaker or sound in your environment. BinaxSound gives you High Definition or "HD" Sound quality by sharing the sound between two the microphones on each of the hearing aids. This creates a eight microphone virtual network for capturing the sound around you. If one hearing aid is getting a clearer speech signal, it can send this to both hearing aids at once. BinaxGuide changes the directionality characteristics of the microphones from focusing in front of you to behind you or to the side. This can also be changed manually and is perfect for car journeys when you cannot turn to face the speaker. The Binax 5 contains 32 channels. This is far more than most other hearing aids and the jury is out at the moment on whether all those extra channels provide any additional benefit or not. The human cochlear only has 20 channels in it naturally, around 17 or 18 of which are used realistically. This is why most top hearing aids have around 17 or 18 channels. Binax’s e2e Wireless technology allows two hearing aids to collect sound from one side and send it to the other, giving a binaural listening effect. It also ensures that all settings are synchronised and the hearing aids are working together. This program reduces the effect that wind noise has on sound quality when you are outside to help you hear those around you. This program helps to lessen the impact of sudden loud sounds, which can be a problem for hearing aid wearers. This program reduces the volume and softens the effect for listening comfort. 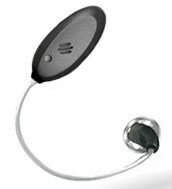 This program produces a range of sounds to distract the wearer from the symptoms of tinnitus. The whistling sound of feedback whenever something or someone gets too close to your hearing aid, is removed before you can hear it, without any sound distortion. Stream sound from your Bluetooth devices directly to your hearing aids via the easyTek sound streamer and remote control. This program gives the wearer total control over their listening in any situation. You can change the span of focus from wide to narrow so you can hear sounds from all around you or a small area in front of you. You can also change the direction of your hearing to the side or behind you. 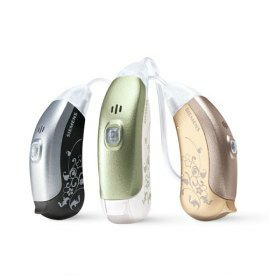 These hearing aids are controllable via the easyTek remote control and sound streamer or the easyTek app which is compatible with both iOS and Android Smartphones. The app allows you to adjust the volume, treble and bass as well as fine tune your program settings to each listening situation easily and discretely. The Siemens Binax 3 is the entry level technology option in the Binax range. It is a 24 channel aid and it has less features than the Binax 5 or Binax 7 but uses the same base processing chip. All models are suitable all hearing loss apart from profound. BinaxFocus focuses your hearing more tightly towards relevant speach sounds when you are in a noisy environment such as a restaurant. BinaxSound shares the incoming sounds between both hearing aids to provide HD (High Definition) sound quality. The Binax 3 contains 24 channels which is more any other entry level hearing aid there is, and in fact more than most other hearing aids altogether. The Binax's way of using channels is different to other manufacturers however so this particular hearing aid shouldn't be compared to others on channels alone. You get a binaural hearing effect by having the two hearing aids communicate wirelessly which means that your hearing aids work more naturally like your actual ears to process sounds together as one unit. e2e wireless is what powers the above features, binaxsound and binaxfocus. This feature attenuates the crackling sound you can get in your hearing aids when wind hits them. Sudden loud sounds are reduced before you hear them. The hearing aid reacts quickly so that sounds such as slamming doors are less jarring. The hearing aid can help to distract you from the sounds of your tinnitus by playing a range of sounds when you are in a quiet environment, which is often where you are more likely to notice your tinnitus. The squealing sound of feedback tha t can happen when something gets too close to your aids is removed before you hear it. This is done without any distortion of sound quality. The new Motion binax 7 models offer true binaural capabilities. Fully featured, they provide almost all options to cover any individual need. The rechargeable Motion SX binax and the DAI-ready Motion SA binax come in a new, sleek design with improved directionality. This makes them discreet, comfortable to wear, and provides outstanding listening. The new rechargeable Motion PX binax is a powerful partner in a proven design: Due to its high level of amplification, it can cover more severe hearing losses. Its user-friendly controls and intelligent interface offer wearers hassle-free handling and connectivity. The hearing aids are fully featured and enjoy all the benefits of the Binax technology. They are outstanding traditional Behind The Ear devices suitable for all hearing losses. With new binaural OneMic directionality, Insio binax presents a true world’s first: These tiny custom hearing aids can offer directionality that can only be achieved using their advanced binaural technology. Now all advantages of the Insio binax have been made available for people with severe to profound hearing loss: Thanks to the new power matrix, even these tiny hearing aids can offer the necessary gain and output while still keeping their small size, allowing for a higher fitting rate among those who need the most amplification. Additionally, all Insio binax models, even the tiniest IICs (Invisible In Canal), are remotely controllable via the touchControl App. This makes Insio binax a nearly invisible solution with outstanding performance. 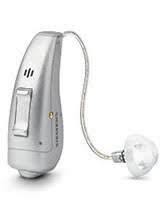 The Siemens Micon 7mi is their new high end range of hearing aids that work on the new Micon platform technology. This new platform offers better sound quality along with greater audibility which Siemens call ‘Soundability’. Rather than just having different names for each technology level, Siemens also give each of their styles its own brand name so you can easily identify each hearing aid. These hearing aids are available in the choice of six different hearing aid styles. Micon BestSound technology allows the e2e wireless feature which means your hearing aids now communicate with each other to give you the best sound. The Micon platform also works on three different elements to improve your hearing. These are MiSound, MiGuide and MiFocus and each one is comprised of different features to manage the various aspects of your hearing loss. 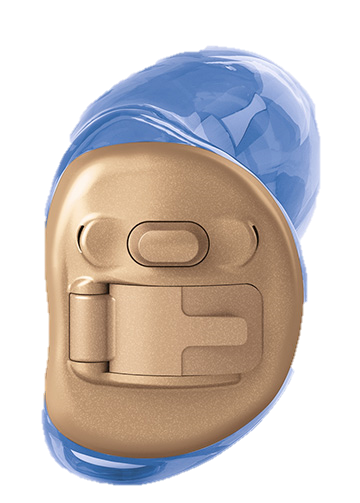 The Micon 5mi is the new mid range of hearing aids from Siemens that work on their new Micon platform technology. This new platform offers even better sound quality along with greater audibility and speech intelligibility which Siemens call ‘Soundability’. Instead of just having different names for each technology level, Siemens give each of their styles its own brand name so you can easily identify the different hearing aids. The Micon 5mi range is available in the choice of six different hearing aid styles. 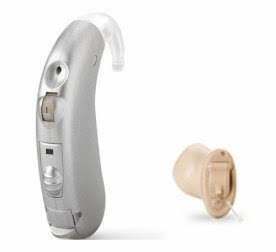 The Micon 3mi is the new mid range of hearing aids from Siemens that work on their new Micon platform technology. This new platform offers even better sound quality along with greater audibility and speech intelligibility which Siemens call ‘Soundability’. The Micon 3mi range is available in the choice of six different hearing aid styles. The nearly invisible, completely discreet hearing Instrument. Siemens Pure lets nothing come between you and your world. Designed for utmost discretion, Pure packs the most advanced hearing technology into an almost invisible, ultra-small size. Available in two performance levels and in the smallest possible RIC (Receiver-in-Canal) and CIC (Completely-in-Canal) configurations, Pure is the ultimate in concealed hearing instruments. It's tiny, but it's mighty. With the flexibility of three different power levels, Pure has been perfectly engineered to give you exactly the strength you need, whether your hearing loss is mild or moderately severe. Pure. It takes performance to a powerful new level. It doesn't get any easier than this. Pure is all about keeping things simple. It automatically synchronises, analyses, and adjusts volume and sound processing so you won't have to. Even in the most difficult listening environments there's no fiddling with your instrument, no awkward adjustments. Now, hearing is more natural, more effortless than ever. For Siemens hearing aids in The UK and Ireland contact us today. Motion® is a hearing instrument you put on and forget about. It has all the features you need in one easy instrument: clever controls, rechargeability, wireless connectivity and BestSound Technology.Plus, its design is robust and comfortable so it requires little care. Meet Motion and say hello to easy listening. Using Motion is completely intuitive. Say you want to adjust the volume or program, simply reach for the user-friendly on-board controls. Or when you’re in a theater and want to enjoy the program directly in your hearing instruments, its clever telecoil can receive the signal. You can even choose a program that allows you to go fully automatic. Motion learns how you like to hear and does exactly what you want, without you even asking. Motion is small and ergonomically shaped so it fits gently behind your ear. You can wear it with a smooth, curved earhook or the optional ultra-thin LifeTube. The latter gives you the added comfort and discretion of an open fitting: no earmold is needed so your ear canal stays open. Either way, Motion is built to last. Nanocoating and a microphone cover help to protect the hearing instrument. Easy eCharger and dryer in one. A little rest is all it needs. Rechargeable batteries from Siemens offer you unparalleled convenience. Simply place your hearing instruments in the eCharger overnight, and within six hours, they will be powered up, ready for your busy day ahead. In addition, the eCharger’s electronic drying function protects your hearing instruments from moisture damage, ensuring long-term reliability. Motion is always ready to keep up with your busy lifestyle. For example, you won’t have to stop to change batteries or dry your instruments. Just leave it all to the eCharger. Smart yet simple to use, miniTek® and Tek® are optional accessories that stream sound from mobile phones, TVs or other audio sources directly to your Motion instruments. Follow the action. Loud and clear. miniTek® and Tek wirelessly connect Motion to your TV and send your favorite actors’ voices straight to your ears. You can even use them as remote controls to adjust the sound to your liking, without disturbing others. Get closer to your caller. When it comes to calling friends and family, Motion offers you clear benefits. If you’re watching TV with miniTek or Tek and the phone rings, one press of a button answers the call and automatically switches to the telephone mode. Easy right from the start. Motion is equipped with the new generation of BestSound Technology to make hearing as comfortable, clear and natural as possible. Our latest innovations help you enjoy these benefits from day one and for many years to come. At first, traditional hearing instruments can make some sounds seem too loud or harsh. Motion makes the adjustment period easy. That’s because its technology can be perfectly tailored to your needs. Right from the start, it adjusts to a sound level that feels most natural for you. So you'll love listening with Motion the moment you put it on. A hearing instrument should handle loud and soft sounds differently. Motion does so perfectly. It ensures the ideal balance between sound quality and hearing comfort. Thus it helps you enjoy quiet conversations clearly but keeps noisy situations at a comfortable level. Life is about your personal style. From its imperceptible size and chic design to its automatic handling, it is created to suit you. If you’re looking for a stylish hearing solution, then Life’s small size will fit you perfectly. Not only does the instrument hide comfortably behind your ear, its ultra-slender tube practically disappears. And if someone manages to catch a glimpse, its elegant and timeless design is sure to please. No one will notice. Not even you. With Life, discretion is not just about size, but also performance. It automatically adjusts to your environment and learns your hearing preferences. The result: No manual volume or program changes. In case you want to have more control, the stylish ePen® and ProPocket remote controls let you do so inconspicuously. With its unique open fitting design, Life accommodates even the smallest ear canals. Quick, easy, and reliable, it's the ultimate ready-to-wear hearing solution. Be ready in no time. Why wait to enjoy great hearing? Life's open fitting concept means you can be fit in the first visit to your Audiologist or Hearing Care Professional. The ultra thin LifeTube offers you outstanding hearing performance with very little maintenance. That’s because it’s easy to clean and inexpensive to replace. So you have maximum comfort with minimum fuss. Life is part of a new generation of instruments from Siemens that are equipped with our latest BestSound Technology innovations. Some situations, like driving a car and listening to someone talking from the back seat can be challenging. SpeechFocus acts like an acoustic rear view mirror that works automatically to improve your understanding of speech coming from behind by up to 40%. With SoundLearning 2.0, enjoy the freedom of a completely automated and individualized hearing experience whether you’re listening in quiet, in noise, or enjoying music. You’ll have less follow-up fittings and the confidence of knowing you’re hearing exactly as you prefer, no matter where you are. It’s hard to be stylish if your hearing aids are whistling. FeedbackStopper predicts feedback before it happens and reduces or eliminates it fast. Even in the most feedbackprone situations, you won't worry about embarrassing whistling. Make phone calls more personal. Hear music that sounds more alive. Tek connects wirelessly to your favorite audio devices through a dedicated remote control, Tek Connect. Siemens Nitro gives you back power, and much more. Designed to enrich the lives of people with severe hearing loss, it empowers you, connects you, and accompanies you on your daily adventures. Discover and enjoy every precious decibel of life, every day. From the buzz of Mondays at the office to the harmony of a peaceful Sunday at the park. Nitro has an amazing amount of powerful technology such as feedback cancellation, advanced speechand noise management reduction, and much more. The latest Nitro hearing aids automatically eliminate whistling. Powerful Nitro automatically adapts to your environment and listening preferences to bring you a more effortless hearing experience. Speech intelligibility and optimum comfort are essential. Having a conversation on a busy street should be easy. With an advanced adaptive directional microphone system, Nitro BTE (Behind-the-Ear) provides better speech understanding even in high noise environments, while SoundSmoothing® softens harsh sounds. Information today is mobile, always on, and instantaneous. Connect your Nitro BTE hearing aids to your phone, TV, and other gadgets using Siemens Tek®. Then stay informed, entertained, and in touch. The handy Tek® Connect remote slips easily into a pocket or purse for wireless listening on the go. It works with almost all cell phones, Bluetooth® wireless technology-enabled landline phones, TVs, and audio players. Make that call, hear that new song, indulge in your favorite film. Tek Connect makes it all possible. Wirelessly. Seamlessly. Effortlessly. Looking for a discreet hearing solution? 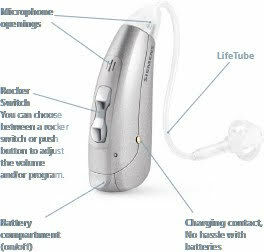 Nitro custom hearing aids pack as much power as possible into attractive and inconspicuous instruments. So the only thing people notice is that you’re hearing better. Automatically eliminates whistling or feedback before it starts. Automatically adapts to your volume and sound preferences, for each individual listening environment. Live out loud with Siemens Vibe. The first hearing instrument that fits you, inside and out. You've never been afraid to stand out. So why choose a hearing instrument that's all about blending in? Vibe fits your personality and your ear in a radical new way. One that lets you connect with your Wild side. Or inner Superhero. It's about as far from ordinary as it gets. And that's the whole point. It goes where no hearing instrument has gone before. Bluetooth? MP3? Wireless headset? Guess again. Vibe's design is so unique, it doesn't even look like a hearing instrument. It's the first one that fits securely into the crest of the ear. Your ear canal is left open, for greater comfort. And there's nothing behind your ear. So Vibe won't interfere with your eyeglasses or other devices. In fact, Vibe's fit is so natural, you'll forget it's there. Until you hear what you've been missing. It stays put because you don't. With its totally new fit concept, Vibe is as simple as it is revolutionary. Wear it anywhere it will never slow you down. It stays secure, even when you're on the move. And with a simple push button control, it's a snap to adjust. The fitting process is quick and easy too. Walk in and walk out with your Vibe. One visit is all it takes. Just tuck it in and go. It fits who you are. At any given moment. Like you, Vibe has nothing to hide. With an expanding selection of interchangeable, snap-on covers, you can show the world your true colours and change them just as fast as your mood. Whether you want to unmask your inner Flirt, rev up your Dynamo, or you're simply feeling Lucky? Or Safe? Anything but Granola!, Vibe lets you express yourself any way you choose. So show your confidence. Spice up an outfit. Shake up the status quo. But never blend in. It's revolutionary from the inside out. At Siemens, they 've made a significant commitment to audiological research and development, enabling their hearing instruments to become the most advanced in the world. While each new technology represents another step forward, they also recognise that hearing instrument usability is just as important as the technology itself. Which is why Vibe not only comes equipped with cutting-edge technology, it's also extremely simple to operate. In fact, Vibe is about as user-friendly as it gets. Exclusive SoundSmoothing technology reduces annoying noises like rustling paper and clanging dishes, while preserving the sound of voices. The most effective transient noise reduction technology in the industry, SoundSmoothing ensures a much more comfortable listening experience. 8 channel digital signal processing for robust performance and flexibility to meet your unique needs. Vibe's microphone is uniquely positioned to take advantage of the natural contours of your outer ear and the way it collects and funnels sound into the ear canal. FeedbackBlocker technology automatically reduces or eliminates annoying feedback (whistling) without affecting sound quality. Easy adjustment for different listening situations. Just press shortly on the push-button to switch between the four programs. And, if you hold longer than three seconds your Vibe will turn on/off. Uses smallest 10A battery to minimise weight and size. There's no reason a hearing loss has to slow you down. Now there's CENTRA Active from Siemens. It's water-resistant. Rechargeable. And offers the world's most advanced hearing technology - all in a new, comfortable, discreet design that's easy to wear. So you can do all the things you love to do without missing a beat. That's the beauty of CENTRA Active. For active people, it's central to what really matters. We designed CENTRA Active for easy operation and maximum comfort. It's completely automatic, so there are no controls to fuss with. And its unique receiver-in-the-canal design makes it tiny, easy to wear, and extremely comfortable. CENTRA Active is ergonomically shaped for optimum placement in the ear canal and is virtually invisible when worn. Fitting is fast and easy with a wide selection of open tips to fit all ear canals. You can also choose from a broad range of colours to match hair and skin tones. With CENTRA Active, you don't have to worry about working up a sweat playing golf, exercising, or taking a stroll on a warm afternoon. CENTRA Active's exclusive AquaProtect technology resists perspiration, moisture, and humidity better than any other hearing instrument. Why? CENTRA Active's housing is nano coated - a proprietary Siemens technology that repels water and prevents moisture and debris from leaking into the instrument. We also added a GORE clip-on microphone cover that protects against damage from perspiration, water, and other liquids. And our exclusive C-Guard barrier protects the dome tip against ear wax and humidity. CENTRA Active's stylish, easy-to-use charger means no more worries about buying and handling batteries. Simply place the instruments in the charger - up to two instruments at a time. After just five hours of charging, the charger shuts itself off and the instruments are ready to go all day and evening. Just in case, CENTRA Active will also run on regular hearing instrument batteries. ARTIS represents a true breakthrough in hearing instrument design. It offers you more advanced features than any hearing instrument in its class, for a higher level of comfort, reliability, and performance. 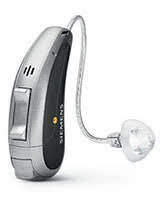 ARTIS was designed with an advanced level of technology usually found only in the most expensive hearing instruments. Listening comfort - Hear more soft sounds and enjoy a brilliant sound quality. Speech intelligibility - Understand speech clearly in noisy situations. Ease of use - Relax and listen, while automatic features such as the new AutoPhone feature or the automatic directional microphones select the best hearing instrument setting - always and at once. Look & Feel - Choose from a wide range of housing types and colours to match your individual style. ARTIS e2e line - Benefit from e2e wireless â€œear-to-earâ€ technology for optimal fitting in case of binaural hearing loss. Nano technology - Depend on the new nano-coated BTE housings, where water, dirt and other adherents have no chance to stick to this anti-adhesive surface. With CIELO you can enjoy superior sound quality and comfort - and all at an affordable price. CIELO comes with many features you can usually find only in higher-end instruments. To ensure good speech understanding in every listening situation, CIELO employs a 6-channel digital noise reduction to automatically reduce annoying background noise. Directional microphone technology (TwinMicT) which is an essential feature for improved speech understanding is available in the CIELO Dir and as an option in many in-the-ear types. You can switch manually between the directional mode (for conversational situations) and the omnidirectional mode. The directional microphone technology in CIELO has an adaptive component. This means that the loudest moving noise source coming from behind is recognised and reduced, whereby speech coming from the front is enhanced. For a better performance outdoors an automatic wind noise reduction feature is active in the directional mode, so disturbing noises caused by wind are eliminated or reduced. CIELO was specially designed to provide the most comfortable and enjoyable hearing experience in its class. The new AutoPhone feature is available in most custom and BTE models and makes using the telephone easier than ever. The AutoPhone functionality switches automatically to a dedicated telephone program as soon as a telephone is brought to the ear. CIELO is also brimming with convenience features like altering tones to remind you when it's time to change batteries and a leading-edge feedback cancellation system. You'll like the way CIELO fits your life. It's available in many configurations, including the latest BTE and open fitting designs to fit virtually any hearing need. CIELO comes in a broad selection of colours to blend with a wide range of skin and hair tones. 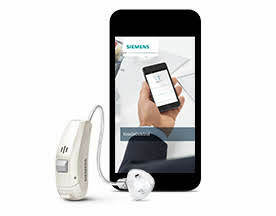 The new INTUIS family of hearing instruments from Siemens sets new standards in hearing ease and comfort by offering you key advancements in performance and reliability at a tremendous value. INTUIS is available in a wide range of models and colors to fit most hearing losses and personal styles. In addition to personal design and comfort, INTUIS integrates proven technologies in reliability and quality. With proprietary technologies to protect from cerumen (ear wax), perspiration and moisture, as well as manufacturing innovations to ensure long term performance, no other comparable solution offers as much as INTUIS. Directional microphone technology is the only hearing instrument technology that has been proven to improve speech understanding in noisy environments. INTUIS offers directional microphone systems in almost every model. Until now, feedback cancellation has been available only in premium hearing instruments. Until INTUIS! All INTUIS models include feedback cancellation as a standard feature. Siemens feedback cancellation is so intuitive that it actually reduces or eliminates feedback without affecting sound quality. With INTUIS, you can comfortably enjoy the sounds around you without annoying whistling. Siemens has integrated recent advancements in noise reduction technology to make INTUIS more comfortable to wear in noisy situations. Steady-state sounds like the hum of a refrigerator or air conditioner and noise from traffic are effectively reduced instantly! So you can confidently and easily focus on your conversation without being distracted. All INTUIS BTE's are equipped with the unique Siemens Nano coating technology to protect them from moisture such as perspiration. All INTUIS custom products have the option of our new C-Guard Wax protection system for protection against ear wax and moisture. INTUIS. Easy on the Ears. 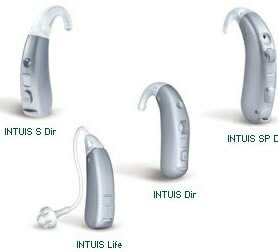 INTUIS offers a complete product line, making it easy to fit all types of hearing losses. The directional Behind-the-ear instruments comprise S, Power and Superpower models, and the custom family features a new, more powerful Micro-CIC. INTUIS even offers an open fit BTE the first ever in this category. With INTUIS, there's something for everyone. INTUIS. It's effective, reliable, and simply intuitive. Comfort. Right from the start. INTUIS is an extremely comfortable hearing solution inside and out. The proven and innovative designs seen throughout the product line make it extremely easy to wear. Sleek, ergonomic BTE housings are tailored to the natural shape of the ear for comfortable, everyday use. For those who prefer an open ear BTE, INTUIS Life uses ultra-thin, soft, non-occluding LifeTips for maximum cosmetic appeal and convenience. The full line of custom models, including new, more powerful Micro-CICs with optional multi-memory capabilities, make INTUIS the most convenient, most comfortable, and most capable hearing solution available in its class today. The INTUIS family reflects our vision to help children hear. INTUIS offers more for children than any other basic solution. In fact, INTUIS Dir and INTUIS SP Dir are equipped with the necessary features for fitting children with mild to profound hearing loss, at an affordable price. In addition, a small but powerful mini BTE and an open fit BTE, INTUIS Life are also available; as well as a full range of custom products, the INTUIS line also offers excellent solutions for older children and teens. One small instrument for hearing, one big advantage for people with severe hearing loss. If you have severe hearing loss, you may have been told that custom hearing instruments aren't for you. Simply put, custom products have never been powerful enough to meet the needs of people with severe hearing loss. NITRO & NITRO 16 are hearing instruments that pack a punch of power so even a person with severe hearing loss can benefit from a custom product hearing instrument. The NITRO family includes the CIC, MC, CA, HS and FS models giving you more choice. Added to that, the NITRO family includes more features which will enhance your hearing experience. The custom products you've been waiting for. Hearing technology has finally caught up to your needs. NITRO offers the power of Behind-the-Ear hearing instruments, but in a much smaller package. It also offers improved feedback cancellation technology, which reduces or eliminates the unwanted feedback noise that can be associated with custom products. Thanks to NITRO, more people can enjoy the desirable cosmetic advantages. In fact, when it's in your ear, NITRO is practically invisible. So people will notice that you're hearing better and nothing else. The digital revolution has forever changed the hearing instrument industry. Now even basic devices are equipped with digital sound processing. PHOENIX hearing instruments are designed with digital signal processing for good performance and sound quality. PHOENIX hearing instruments are available in a variety of BTEs (Behind-the-Ear) and ITEs (In-the-Ear) for mild to profound hearing losses. Whatever your degree of hearing loss, PHOENIX may be a suitable and affordable solution. With INFINITI Pro you don't have to compromise quality for affordability. Infiniti Pro features an automatic volume adjustment that is operating anywhere, anytime. Further, INFINITI Pro offers up to three specialised listening programs that can be set by your Hearing Care Professional for critical listening needs. A simple touch of the button on the hearing system allows you to switch between these listening programs. Soft alerting tones inform you when you have changed the listening program or when it's time to change the battery. INFINITI Pro is available in a complete family of digital hearing systems, from the virtually invisible Completely-in-the-Canal (CIC) to sleek Behind-the-Ear (BTE) systems, including a SuperPower system for individuals who require more power. We can help you select from different sizes and colours to find the model that suits you best. A comprehensive family of digital hearing solutions for a wide range of hearing loss, including the sleek MUSIC Pro S BTE. Every MUSIC Pro hearing instrument is equipped with the Voice Activity Detection system (VAD), to help reduce many background noises. Optional, value-added features are available including a Directional Microphone System, convenient alerting signals and power-on delay. MUSIC Pro provides world-class digital performance - affordably. MUSIC Pro offers an advanced Voice Activity Detection System (VAD). This digital sound-processing system listens for speech sounds, automatically reducing the level of some background noises. The advanced digital sound processing of MUSIC Pro also automatically amplifies quiet sounds so they can be better heard, whilst helping to limit loud sounds that may otherwise be uncomfortable. Selected MUSIC Pro models can be equipped with a directional microphone system. This system allows you to choose whether sounds are picked up from all directions, or primarily from in front of you. MUSIC Pro has up to three optional listening programs that let you have added control over what you hear. Soft alerting tones inform you when switching between the optional listening programs and when it's time to change the battery. MUSIC Pro has a built in delay when first turned on, so that you may insert the hearing aid in the ear without unpleasant feedback (whistling). MUSIC Pro BTEs are available in the fun colours that children love. With an array of paediatric accessories such as audio-shoes to be used with FM systems in school settings and small earhooks, Hearing Care Professionals can confidently choose MUSIC Pro for many fittings with children as well as adults. ACURIS Life is a hearing instrument you can wear with confidence. Its sleek ergonomic design is barely noticeable. And, its natural colours blend easily with hair and skin tones. There's no earhook or visible controls, just an ultra-thin tubing that's virtually invisible. You won't even notice that you're wearing ACURIS Life because of its open fitting approach. Instead of using a conventional ear mould which closes the ear canal completely, ACURIS Life utilises the comfortably soft LifeTip to help reduce the bothersome occlusion effect - the echo or plugged up feeling. ACURIS Life instruments are available in a range of subtle colours. For those seeking a style with more personality, a sleek silver housing is available as well as a range of translucent colours. Whatever colours you choose, you'll benefit from unsurpassed comfort, cosmetic appeal and acoustic performance. ACURIS Life's superior design is just the beginning. What truly distinguishes it from other open ear instruments is the ACURIS technology. It enables unsurpassed auditory performance through a range of engineering advancements, including e2e wireless, adaptive high speed feedback cancellation , adaptive noise reduction and adaptive speech enhancement, to name but a few. All these high-end features help ACURIS Life to recognise the daily challenges of your listening environment and to react in an intelligent way - for your personal hearing comfort and understanding. Operating your ACURIS Life instrument couldn't be simpler. There are no controls on the instrument to fiddle with. Instead, ACURIS Life offers an optional ePocketTremote. This small, discreet device puts complete control of the instrument at your fingertips. And, it has convenient readouts for volume setting, program number, and battery status. In spite of its small housing size, ACURIS Life comes with a 312 battery. This means longer battery life - up to 140 hours. That's twice as long as some other open ear solutions. The ACURIS Life fitting process is fast and easy, too. All it takes is one visit by us. In record time, you'll be enjoying the remarkable performance ACURIS Life delivers. Siemens is committed to research and development to create state-of-the-art technology making our modern hearing instruments the most technologically advanced in the world! Siemens audiologists, physicists, and engineers have combined cutting-edge chip technology and the latest know-how from audiological research. Siemens are adamant about offering the hearing impaired the best possible technological advancements in hearing available. Siemens have paid particular attention during development to these characteristics in our new Life instruments. CENTRA Life, ACURIS Life, ARTIS Life and CIELO Life are hardly visible, offer instant, easy fitting, the best understanding in speech in noise situations, advanced microphone and noise reduction technology as well as high wearer comfort and usability. Siemens got the right solution for millions! Siemens has been at home with audiology technology for more than 100 years. 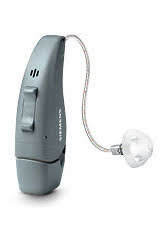 Siemens offer hearing systems for almost every type of hearing loss and in every price and performance class. The objective of our research is to restore the hearing capacity of the hearing impaired to the greatest extent technologically possible. Siemens experience as well as the innovative strength of Siemens global technology company supports us in achieving this objective. They work intensively with universities, clinics and hearing centres, and the results of Siemens research as well as the technical knowledge obtained from these cooperative efforts are incorporated in their product developments. The quality and reliability of our products are their top priorities: whether it's a basic product or a high-performance hearing system such as CENTRA or ACURIS. Finding out which hearing instrument is best for you is our job. We will analise your hearing loss and support you by answering all your questions regarding your individualized care. Because your hearing loss is as unique as your own fingerprint.